For Festivals, Tours and Concerts all of our acts are available individually or we can offer the best of all our acts as one package. Since The Court of Equity is an acoustic version of The Picts focusing on Robert Burns and Scottish Folk then event organizers can have both these acts performing at the same event. 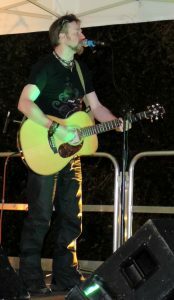 As front man of both The Picts and The Court of Equity, Douglas McQueen Hunter’s songs make up a considerable part of set-list, therefore organizers can have the option of a mix of Douglas McQueen Hunter and The Picts material or having Douglas McQueen Hunter’s set as a separate act altogether at the same event. 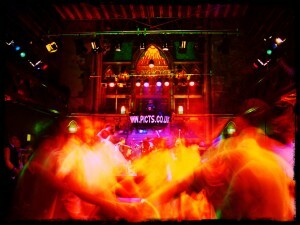 The musicians are also happy running musical workshops at Festivals. These workshops could be for song writing, performance, drums, guitar, accordion, pipes, bass, percussion, etc. Over the years The Picts, The Court of Equity and Douglas McQueen Hunter have been invited to play at many festivals and concerts of all sizes, not only in Scotland but also abroad. They have performed at events such as the Glasgow Hogmanay Celebrations in George Square in from of 40,000 people, The Stirling Millenium Hogmanay Celebration, The World Pipe Band Championships, The Edinburgh Fringe Festival, T in the Park (Scotland biggest music festival), The Interceltique Festival of Lorient in France (The world’s biggest Celtic festival), Glasgow Winter Fest (Shindig in the Square), Celtifolies (Celtic Festival of Lyon, France), The Carrbridge Festival, The Morham Festival, The Arran Folk Festival, The Sail and Oar Festival in Millport, Tennent’s West Highland Week Yachting Festival, Wigton Book Festival, The Haddington Festival, The Celtic Festival of Wales, Dunbar Folk Festival, Festival des HautesTerres at Saint-Flour in the south of France, The Lamlash Gala Week, The Tartan Day Celebrations in Aberdeen, Battle of Harlaw Memorial Celebrations, Gael 2000 concert, BBC music live, etc, etc, etc…. The Picts are in a unique position, in that they can adapt to various events. They can play contemporary Country Rock sets, Americana, Scottish and Irish music for the Scottish, Irish and Pan-Celtic festivals and they can also do ‘Tribal’ drum and pipes music sets off and on stage. 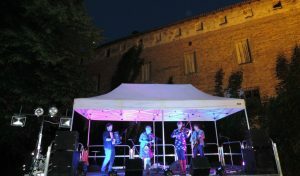 In contrast they can also provide acoustic sets in their alter-ego as The Court of Equity performing Scottish traditional music or Burns songs and poems for the likes of renaissance festivals, Scottish / Caledonian societies and Burns Clubs. 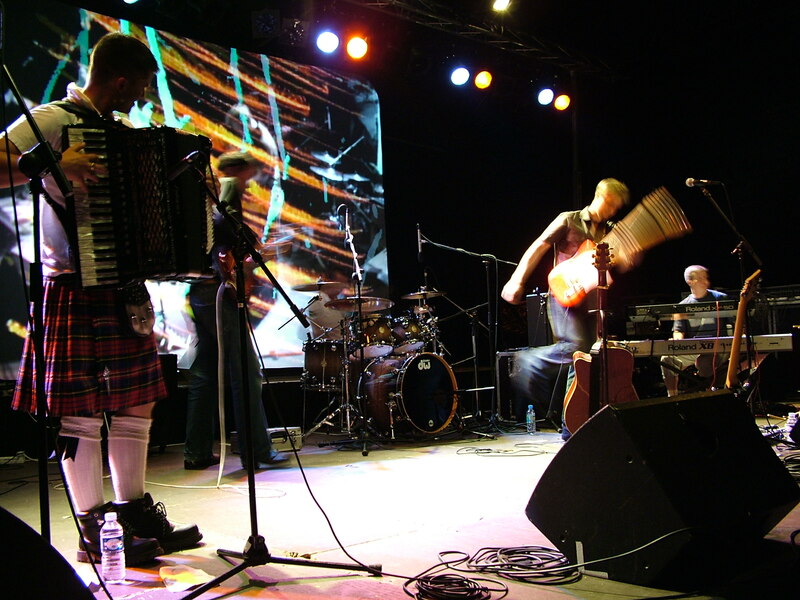 The Picts set at Celtic/ Folk concerts, festivals and Highland Games is generally a crafted combination of all these styles and sounds, focusing mainly on the Celtic Rock music and songs. In a number of sets They use the raw energy of the tribal drums and pipes to give variation to the sound; the band members swap their instruments for drums and percussion to create a thunderous, powerful, blood stirring backdrop for the solo piper or accordionist to play the jigs and reels to. When the band are on tour or playing at Festivals music is a combination of the traditional and the original; well known Scottish and Irish tunes are mixed with compositions from various band members. Likewise the songs are both original and traditional; the original (folk, rock, celtic and Americana) are from the pen of The Picts’ front man and singer, Douglas McQueen Hunter. The traditional songs are from Scottish and Irish roots, and folk music. The band also perform many well known crowd pleasers. Douglas plays a wide range of concert types from folk gigs and celtic-rock concerts to mainstream rock and Americana shows. He has honed his skills as a performer and front-man over many years with The Picts and various other bands. For festivals and concert tours, Douglas performs as a solo artist, as well as with a small acoustic duet/trio, or a full four to seven-piece band. 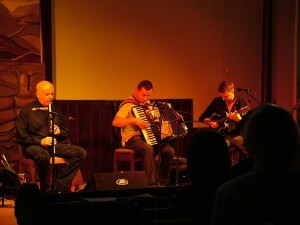 Many of Douglas’s original songs appear in The Picts concert sets and equally a mixture of The Picts and Douglas’s music can be arranged so festivals can have the best of both worlds. As for material, Douglas is as accomplished at singing Scottish or Irish traditional songs and Robert Burns songs as he is with his own rock songs from his albums. He often performs for the likes of folk clubs, Burns clubs, and concerts as a solo artist playing a mixture of his own songs, folk songs, and modern crowd pleasers accompanied by his guitars, mandolin, bodhran, percussion, and harmonica. Likewise, with the full band set-up he often plays to huge audiences at festivals and concerts, working his crowd-skills and playing his own mainstream songs. His songs range in style from Americana to country rock, celtic-rock, tribal and folk. The set is laced with fine original instrumentals on guitar or other instruments, and frequent crowd pleasers from the 50’s, 60’s, and 70’s through to the modern. For festivals The Court of Equity play a mixture of Burns songs, traditional Scottish, Irish roots, crowd pleasers as well as their original material. Since this band is an acoustic version of The Picts they incorporate many the instrumentals from The Picts set. They also use the bodhran and tribal drums to create a powerful backdrop for the spine-tingling pipes sets and for songs like “Killiecrankie”. The Court of Equity can perform as a laid back two or three piece group in intimate settings or as a full on four to six piece band for festivals.